Happy Monday! This morning I went out to get my garden weeded. Before I went outside I threw my hair up & went to grab a headband. I didn’t want to use one of my nice ones to get dirty…& I seemed to have misplaced my work one..(sometimes I wonder if I would lose my head of it wasn’t attached!). Anyway I had just cut up an old t-shirt so I grabbed the old sleeve left in the scrap pile. I first cut off the cuff edge. I then cut from the “top” of the sleeve & slightly angled down to the bottom of the sleeve. & then I threw it around my head & wahhhlaaaa!! That’s it! It is honestly one of the comfiest headbands you could wear. 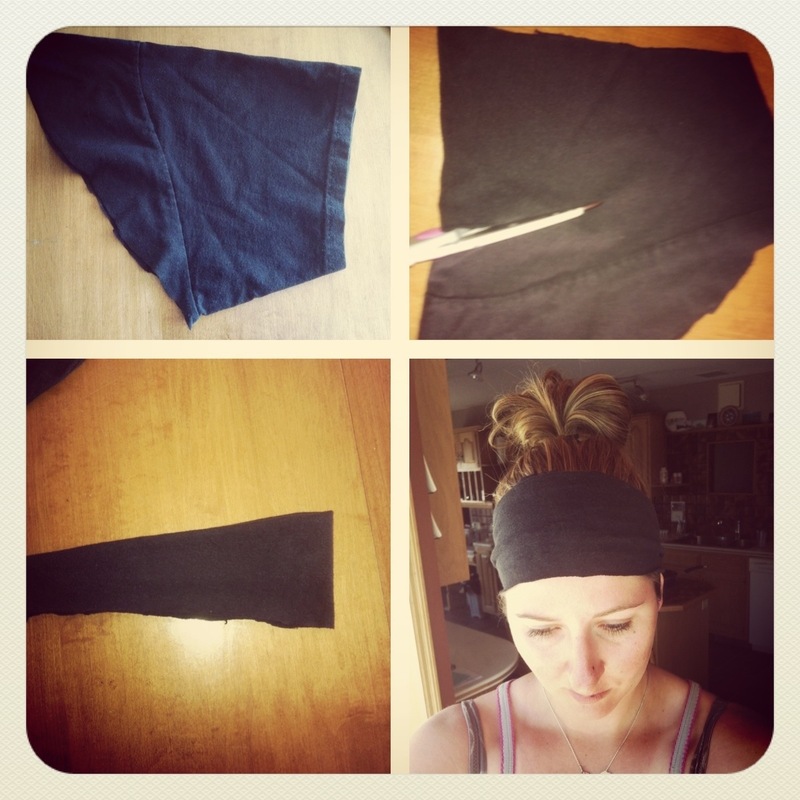 Give it a try with your old T-shirt scraps! !